Prof. (ret.) 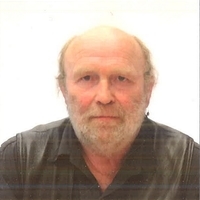 Dr. Helmut Tauscher served for many years as Director of the Institute for Tibetan and Buddhist Studies and Deputy Director of the Department for South Asian, Tibetan and Buddhist Studies at the University of Vienna, where he earned his PhD in Tibetan and Buddhist Studies (1981). A specialist in Tibetan Buddhism, he has researched and travelled extensively in Lahaul-Spiti and Kinnaur, Himachal Pradesh, and Ladakh / Zanskar, Jammu & Kashimr, India. at McMaster University (University Hall 122) on Friday, March 29, 2019, 4-6pm.